Marianne Franklin, Professor of Global Media and Politics at Goldsmiths, University of London, gives her inaugural lecture on February 2, 2016 on ‘Public secrets – you, me, and the internet’. Marianne has hosted two panel debates with openDemocracy on ‘Defending human rights in the digital age’, the first with a panel that included the much-mourned Caspar Bowden, in one of his last typically incisive and energetic contributions to a crucial debate. The second panel discussion is represented here by two short clips, posing the question: If we cannot trust our own governments to protect our rights and fundamental freedoms online - should we trust corporate service providers to look after our personal data instead? In the run-up to Marianne’s lecture, daily this week, look out for our serialisation of "Championing Human Rights for the internet - why bother? ", continuing here with Part Two,"Ground control to Major Tom.". This introductory overview of the terrain launches openDemocracy's new 2016 partnership, 'Human rights and the internet' , dedicated to the memory of Caspar Bowden, indefatigable fighter for our digital rights. But I am getting ahead of myself. Let me pause, but briefly, to consider these concerns from an institutional and historical perspective. First, any talk of human rights has to take into account the twentieth century trajectory of successive generations of international human rights law and norms. The twentieth century UN system and its member-states is the progenitor and inheritor of existing human rights norms and thereby has a stake in any future frameworks for internet design, access, and use. This means that human rights advocacy for the internet enters ongoing debates about the legal stature and implementation of so-called first generation human rights treaties and covenants that make up the International Bill of Rights, i.e. the Universal Declaration of Human Rights (UDHR, 1948), the International Covenant on Civil and Political Rights (ICCPR, 1966), and the often overlooked International Covenant on Economic, Social and Cultural Rights (ICESCR, 1966). In this respect the history of human rights treaty negotiations in the last seventy years point to the political economic and sociocultural implications of successive generations of treaties and covenants once ratified. And, second, to the social and economic costs of their implementation, diachronically (one by one, step by step) or synchronically (as an interrelated whole). Second, as scholars and judiciaries start to tackle these issues for the internet they are confronted with the political and legal limits of the Westphalian international state system and its jurisprudence. Despite notable exceptions - e.g. agreements on the Law of the Sea, Outer Space, and the Environment, and debates about the security implications of conceiving cyberspace or the internet as a global commons – the current system is founded on the institutionalized privileging of national sovereignty and rule of law. In other words the legal jurisdiction of nation-states over historically designated territories have been based on exercising sovereignty over analogue, physically proximate meatspaces. The history of the modern nation-state and citizenship is literally - and figuratively - grounded on this premise, power over, and rights within a physical contiguity. The legitimacy of state-centric ‘roles and responsibilities’ of last resort, it is one that has structured the horizon of possibility for the honouring of these obligations by national polities and the ability of intergovernmental organizations to enforce them respectively. The way that ordinary people, corporate actors, social movements, and transnational networks from global financial markets to criminal organizations use the internet has been rattling the cage of this geopolitical status quo for some time however. The rest of the WSIS+10 Outcome Document cited at the top attempts to straddle the existing order in the face of the shifting power geographies of “multistakeholder” decision-making. So, third, alongside the formative role that prominent civil society networks have played in the rise of multistakeholder participatory models as the sine qua non of internet governance institution-building, corporate actors play no small part in setting this agenda as well. This is a role that grants these players policymaking power, in kind rather than by international treaty, through the proprietary rights of commercial enterprise. This shift in the historical and institutional context in which contemporary media and communications are designed, accessed, and used as implicitly computerized architectures and practices of onlineness has conceptual implications as well. That said it is a misnomer to talk of the internet’s influence on society, culture, and politics in simplistic techno-determinist terms. Nor is it elucidating to continue labelling the last quarter century’s successive generations of internet service provisions, news and entertainment, and user-generated content as “new” media. It is tempting but does not take critical analysis or activism far in the long term. What do I mean by this? Well, first a preoccupation about what should (not) be regarded as more valuable, e.g. “existing” vs. “new” rights, “old” media vs. new “social media”, has obstructed interlocutors from considering how human rights online matter, rather than whether they should matter. They do, already. Agonizing over whether what we do online is by definition less important than how we live our lives in other domains whilst offline - in the home, on the street, or in school – is to assume that these pre-internet and/or offline domains are of a higher moral order, innocent and without violence. They are not, as feminists, civil rights, and human rights activists have been telling us for generations. It also means getting past entrenched value-hierarchies that position successive generations of internet-based mobilization, forms of solidarity and dissent (e.g. e-petitions, social media campaigns, community-building) lower on the political pecking-order from the pre-internet modalities that characterized twentieth century social movements. The latter, more familiar displays of mobilization such as street marches, hardcopy petitioning, print and televisual media presence, are also not without abuses of privilege, empty rhetoric, or opportunism. Besides these once new social movements have gone digital also, adopting commercial social media tools as fast as possible over the last five to ten years. It means to stop worrying, quite so much, about whether younger generations who are now living, and loving through their mobile and other computer screens for that reason alone. Instead to explore how these modalities for social interaction and intimacy matter to these web-embedded generations, on their own terms within the changing terms of internet access and use. All these issues are germane to important social and scholarly debates and ongoing research. 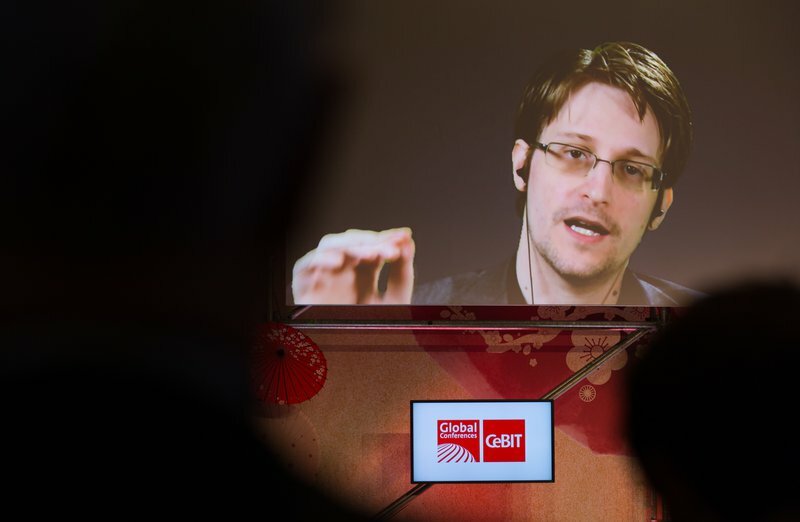 But what we have to focus on here is how the Snowden revelations underscore, as did whistleblowing trailblazers before him, nation-states’ chequered human rights record in the offline world, an ongoing focal point for established international human rights advocacy. Comparable double-standards have already emerged online as western, liberal capitalist democracies have been found wanting in this regard in ways reserved for polemics railing against enemies of the “free world”. Part three tomorrow: Some progress is better than nothing?